Free browsing cheat and Data cheat seems to look promising this 2018. It's been a while we enjoyed mb/data cheat on Airtel network, but the uplifting news now is that, Airtel mb/data cheat is out and blazing. This is still a new tweak as not everyone is aware of it. But we got your back here on Entclass Blog. We post the latest cheat before it goes viral on other blogs; that is why we standout from other blogs out there. The reason I called this Airtel MB/Data cheat is because you will get value for your money. Imagine getting 2GB for N100 and a whopping 10GB for N500, that's crazy if you ask me. No network does this. The most exciting thing about this Airtel data overload is, you can use it on any phone, be it Android, iOS, iPad and even on your laptop without the use of VPN or whatsoever. 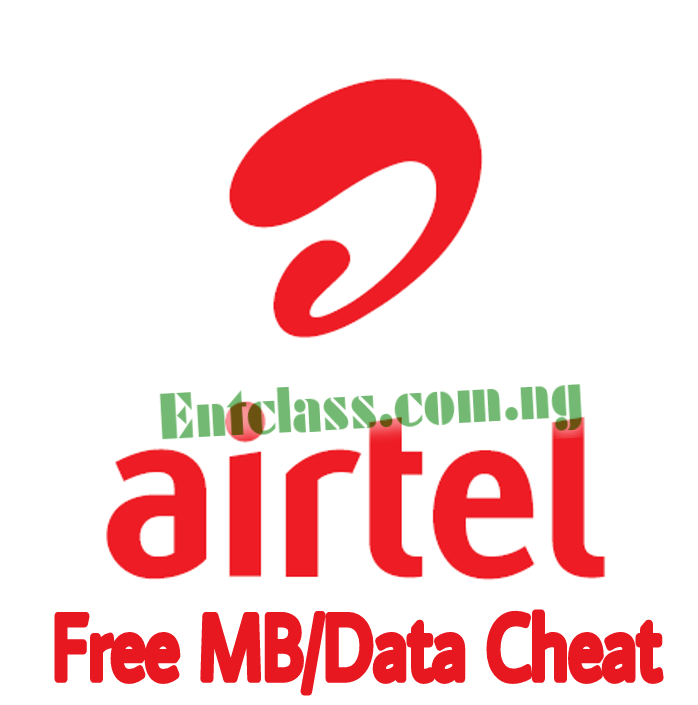 I will reveal the complete steps and settings to enjoy this Airtel MB/Data cheat. Kindly follow me along. There are some procedures you need to follow inorder to enjoy this overload data from Airtel. The cheat has been confirmed working by me and some few people. What you have to do is to port another network to Airtel network. For instance: Port MTN network (new or old line) to Airtel network. That's all you need to do to get this cheat activated. Take those requirements to any of the nearest Airtel office around you. They will give you a form to fill. Follow whatever they told you to do for a successful porting. You will receive a text message from Airtel on the MTN line you intend to port. Now reboot your phone when you notice your MTN network has disappeared. You will be directed to insert your newly ported sim which is Airtel. You will get a confirmation message from Airtel that your sim has been ported. Now, we have done the most important part of this tutorial. Make sure you follow what I've instructed in this post and not what Airtel agent tells you. 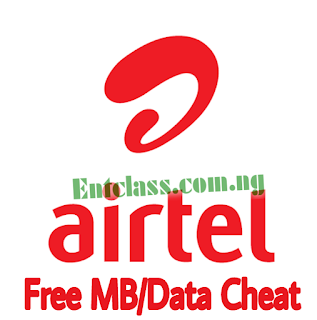 To get the data cheat activated, you need to recharge the Airtel line from your Bank or Zoto Recharge Wallet. NOTE: Do not recharge your sim using Recharge Card Pins because you might not be given the free data. Like i said earlier, it works on all Internet enabled devices, you name it. It doesn't require any form of VPN to make it work on all apps. You will receive a message from Airtel that you have been rewarded with 2GB free data. I recharged my line twice and got free 4GB data. As seen in the screenshot above. This step is similar to 9mobile 5GB for N1000. You just need to accumulate more by recharging again and again. So in the same way, if you recharge N100 each on the Artel line 5 times, this equals 10GB for N500. So the more you accumulate by recharging your Airtel line, the more data you receive. Any given data has a 30 days validity period. You can't accumulate more than 50GB per month. You will receive your free data anytime you recharge your Airtel line using your Bank or Zoto Recharge while your money is still intact. Remember not to use recharge card PINs. I hope you enjoyed this post. Please don't forget to share this post and drop your comments below. I post confirmed cheats sir. It's working 100%. What if I bought new sim? Yes you can. Make sure you register it. Nice but it's not exactly a cheat. The data is probably being offered by Airtel legally. Having said that though, it's a long process o.
tnx so much Victor! nobody can stop freebrowsing;sure there may be gaps but never totally stopping it! What happens after the first month? Till when will this cheat end? Yes. I did just exactly as instructed. I used my zoto app to recharge on the sim, but still not given any free data. Which line did you recharge? Big Boss. This one sounds tough putting into fact the reasons that would make me port my mtn sim to Airtel. Kachi.. Please I'm unable to link my debit ce.. Something about my account being a tier 1 account.. I can't purchase items in games as well..
can i simply use a newly registered airtel sim for that? Another different network is preferable. Kudos boss for this cheat. will it work if i use 9mobile to port, or does it work only with Airtel?? nice one bro. Please how much is airtel Sim port? Between 300naira to 500naira. Depends. no 2gb free mb ohhhjj. wetin i do wrong. i used zoto and chose airtel as network, but input my original mtn ported no there for N100. oga wetin hapen! Put your Airtel number, not the MTN line. That's where you made a mistake. victor, dont tell me i wasted my time & resources porting my mtn to airtel to get notin after loading N100 via zoto? When recharging, you don't need to use the MTN line, recharge the Airtel line. That's where you made a mistake. D airtel line is showing the mtn no i ported from. How can i find d airtel's original number, or is dat not what u're asking me to use coz d airtel line only displays d mtn no i ported from. Yes, the Airtel will display the MTN number. Dial *746# to view your number. Then use Bank to recharge the number and select Airtel as network. NOTE: The MTN sim will no longer work. 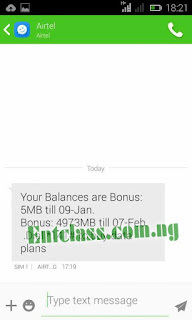 Pls use scrinshot to show me how u got ur airtel's original no to use to recharge from zoto! 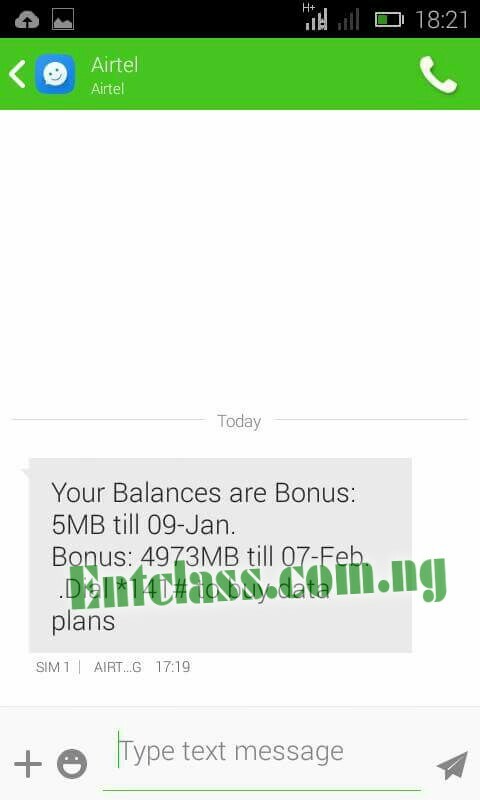 And note dat d airtel fone no is not written anywhere; so use scrinshot to show me how u're able to get d original no of the airtel line u ported ontop. 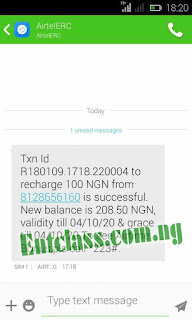 Recharge the MTN number and choose Airtel as the network. I use GTBANK *737# to recharge. They don't ask for network. NOT WORKING CONFIRMED!!!!!!!!!!!!!!!!!! JUst wasted efforts & N200 for NOTHING!!!!! (Tried both Bank & Zoto, no free 2GB anywhere). Nice Try!!! This was confirmed working before posting. you guys should stop commenting; this stuff isn't working. I just wasted efforts & N200 for nothing! Sending it 10times should make your MTN network disappear. Just keep trying. Wizdom is likely missing something. Anyway, enjoy yours bro. make nna pray for me ,i dont know what i'm missing. Is it *737# or Zoto or at the ATM? What worries me now is not having it work! 2ndly, @SecretThings, what exactly did *746# show you? 3rdly, is it at d atm machine dat u recharged ur own to get 4gb? 4thly, did u do it N100 each to get 4gb Or u did N200 at once to get 4gb? Tnx for elaborate reply! I think I have answered you about the *746# code. Bank, USSD code, ATM VTU, Zoto all works. @Victor, my *746# shows '0810xxxxxxx' NOT FOUND. where stuff in quotes is my fone no. Look, dis thing MUST WORK PERFECTLY for me by fire by force. I no go gree until ee work smoothly!!!!! Still afraid OOOOO! 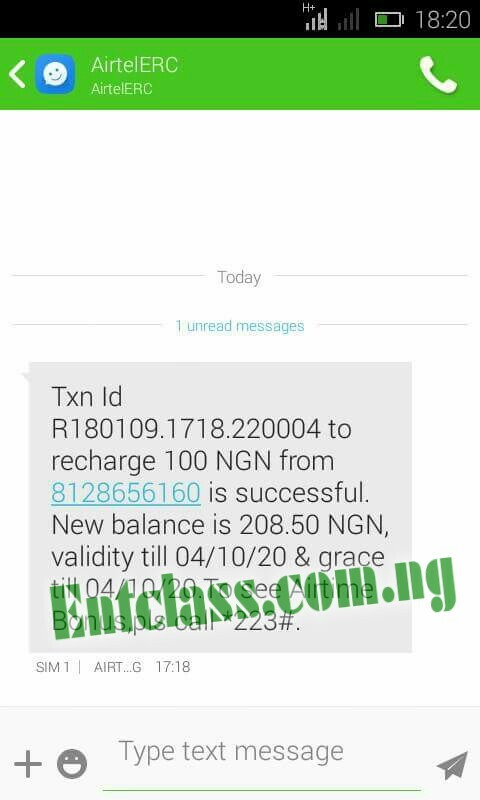 Do me a favour pls Victor and recharge me N100 using ur own mtd, and I'll refund u with zoto in d evening. My ported no is 08105561744. Tnx so much! Please can I use my already used Airtel line. I don't understand. Have they stop the cheat? stopped! so funny!! can you stop what wasn't in existence in the first place? go & rest jareeeeeee!!! They have stopped the offer weeks ago.